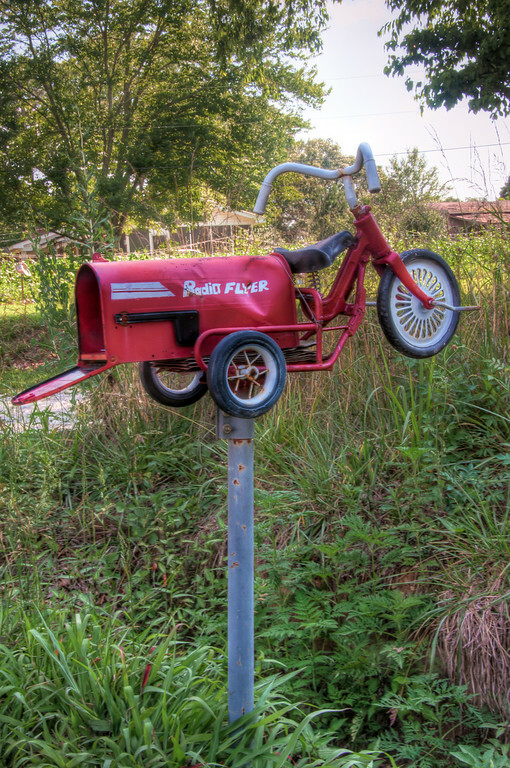 Radio Flyer | Just Shooting Memories! I have no clue what made the Radio Flyer wagon such a popular thing when I was younger. I guess, at the time, it was the only mode of heavy transportation for children. You could haul anything in it. I was driving around a while back when I ran across this mailbox. Not quite a wagon, but I believe they would have had a problem with soggy mail if they tried to keep to the tradition.